A leaking faucet may only get your attention if it is loud or leaking so much water that you know you need to get it looked at immediately. Many times, you might ignore a small drip, thinking that you’ll get to it eventually or that you don’t want to spend the money to have a plumber come over. 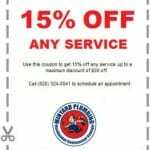 The sooner that you have faucet repair completed the less money you’ll spend. With water constantly dripping, it will increase your water bill, and the longer that you wait, the more money you’ll waste. A faucet repair is generally simple and inexpensive. 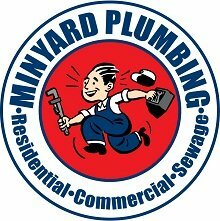 Having a professional plumber deal with the issue as soon as it starts to be a problem is the best way to avoid bigger spending. A small leak could require tightening a few different pieces on the faucet, but it could also mean that a more serious problem is present. There are many different elements and parts that make up a faucet. Generally, everything works together perfectly, but every now and then you may have a few things not working how they should. Whatever it is, we’ll make sure to get it fixed quickly. Since you pay for water, it is best on your budget to give us a call as soon as you have any concerns about your faucet. If you hear strange sounds, experience water pressure issues, have a leak, or anything else, just let us know the details right away, and we will be there. Utilities in your home add up each month, and you don’t want to be paying for anything extra. That’s why we recommend faucet repair right away.